First, we have improved our free searches to include more data than ever and a map-based interface for more intuitive searches. The deal searches now feature a “radius” query allowing the user to filter CMBS deals around a specific address. If you have a property and want to see what CMBS deals are nearby, it is a great tool. My favorite part of the new site is the mobile version of CMBS.com. 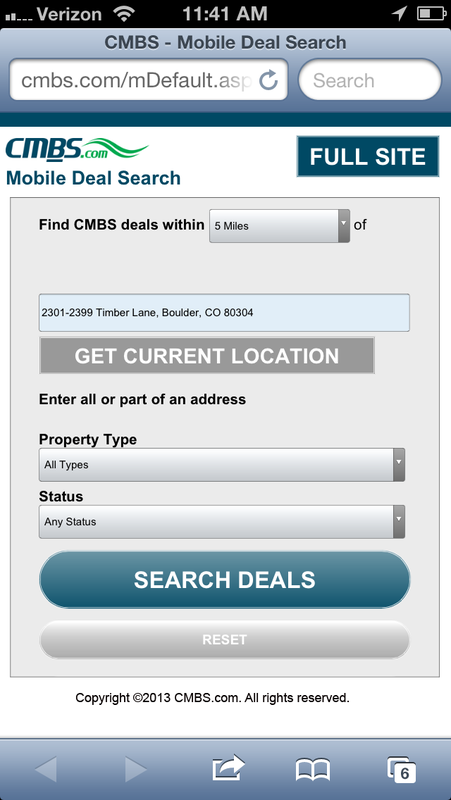 If you go to www.CMBS.com on a mobile device, the site will ask your browser for its location, and the deal search will default to a five-mile radius around your location. Tweak your search filters as appropriate, hit SEARCH DEALS, and browse the available deal data. I was in New York City last week and had fun walking around learning about all the different buildings. For CMBS investors, the securitization search tools are better than ever. Now you can search by specific CUSIPS. When you sign up for a free account, you can set up your Investor Dashboard and model loan loss and bond loss scenarios. The last thing to point out on CMBS.com is the introduction of the CMBS borrower reporting tool. This new feature is designed for existing CMBS borrowers to track and standardize their quarterly reporting obligations. The reporting includes an XML version (of course!). We will be working with the servicers and borrowers to promote adoption of the service. 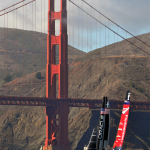 Awesome Team USA comeback at America’s cup! Regulation AB II is almost here!